In Part 1, “Tricks of the Trade: From Ancient Symbols to a $70 Billion Brand” we looked at how symbols and branding have been around for millennia. Indeed, humankind has an innate need to belong, and to embrace that belonging with some outward expression of attachment. Whether it be the demonstration of national identity with flags and blood-stirring national anthems, team spirit with the sporting of football colors, ladies with attitude in purple and red hats or political candidates in party lockstep with precision soundbites, we join, cleave to, pledge allegiance to and meld into the single identity that gives meager individuals a sense of purpose and being. With the construction of a symbolic world we can ease the pain of understanding our physical limitations…. That is, we create a cultural world of meaning in which humans are not merely animals, but are symbolic entities. We are part of something larger and more enduring than our physical existence. In other words, in the symbolic world we can be immortal. Each of us will die, maybe even tomorrow, but our religions will live on. Our nations will live on. Even our favorite sports teams will live on. If we are lucky, our names may even live on through enduring societal contributions. In short, we invest heavily in the symbolic cultural institutions and identifications, in part, because they help insulate us from basic fears about our mortal predicament. Not belonging then could be logically extended to mean isolation and a concatenation of social consequences. Isolation leads to distrust by others, to ridicule, to a host of feelings against the “other.” Belonging can inflate our sense of self because we are no longer the odd one out. And this is the underlying premise, from the earliest human times, of what has constituted the construction of societies. We have continued that very human behavior throughout history. 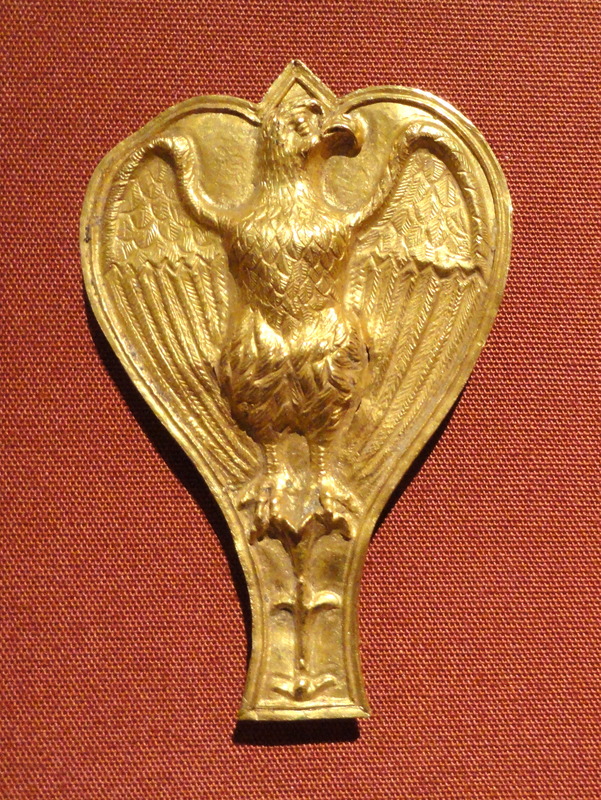 The Roman Aquila, or eagle, was a symbol of Rome’s power and authority. It was the standard of the Roman legion and therefore seen by all whom Rome conquered, all those who were the “other”. Rome provides an interesting case study. 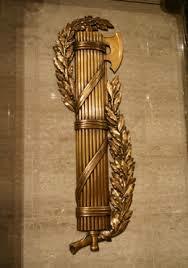 The Romans used the symbols of its civilization to convey to conquered people the empire’s might and highly evolved cultural exploits. Large monuments were built on lands where the Romans were vastly outnumbered by those whom they had defeated. The construction of these arenas, baths, dwellings and municipal buildings were symbolic of Roman superiority. And they reflected a more ominous message—Rome as the undisputed ruler. When seen from this perspective, Rome telegraphed through its symbolic structures that opposition was futile. The Roman Empire, renowned for its contributions to world heritage, was adept at propaganda and using symbols for what would be seen today as “marketing” the empire and “advertising” the legitimacy of its ethos. What the ancient Romans did is exactly what advertisers do today—entice people to share the experience. Have a better, grander, safer, more productive life embracing the idea, the group or the toothpaste being shilled. As with ancient Rome, convincing people that they need the experience, whatever it is, is key even in modern times. 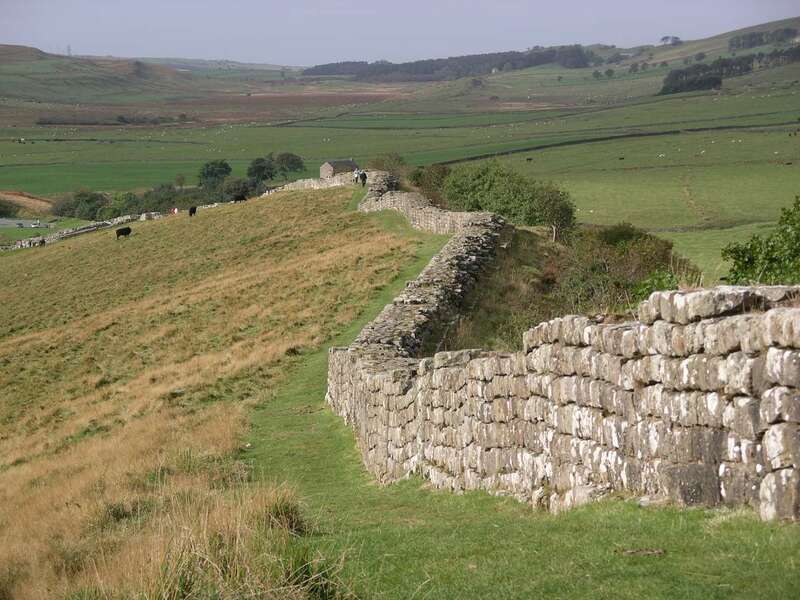 Hadrian’s Wall, a symbol of Rome’s power and reach. Let’s look at how Rome marketed the coveted “experience” of being Roman. The extensive building during Emperor Hadrian’s reign was largely to symbolize Rome’s supremacy over the Germanic tribes and other uncivilized groups that were ever present just beyond the boundaries of the empire. This golden age of imperial civilization spurred on by Hadrian was most evident in the construction of large municipal edifices. Each one made a set of statements. In its functionality, it helped define the Roman lifestyle and what it meant to be “civilised.” In its towering size and richness, it spoke of the wealth and success of empire. Through images on frescoes, mosaic and sculpted panel, it promoted a cultural identity and shared values. And in the very fact of its existence, it redounded to the credit of the regime whose guiding hand had made it possible. 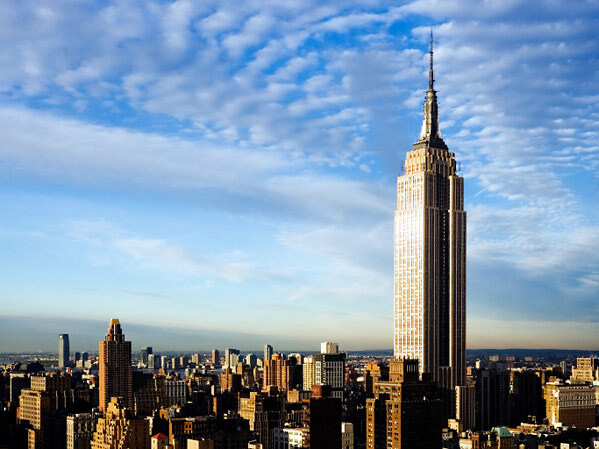 Empire State Building, New York City. It is a symbol of wealth, achievement and even welcome to visitors. Today’s soaring corporate skyscrapers have much the same purpose. They provide a sense of importance in their monumental reach for the stars. The company giants that inhabit these structures spend billions of dollars a year in drawing that same line as the ancient Romans between those who are part of the group, and those who are not. Consider these slogans that intimate that separation from the non-believers, the outliers, those who are the uninvited and uninitiated. Each of these slogans is created to be an inducement to a certain type of demographic. Each connotes its special experience. A singular feeling of belonging to something extraordinary. Perhaps that trip to Disneyland does keep a sense of one’s mortality at bay. Maybe that thin line between love and madness is an experience uniquely familiar to those for whom love has been soul crushing. And who wouldn’t want to be a rebel by choice? Like the Romans, we’re all being propagandized into believing that we can live life large as long as we have the right perspective. So the ancients had a turn of mind that before the psychology of marketing was even understood played upon our very human senses: the fear of abandonment, fear of being different, fear of the “other,” fear of being the “other.” Strong emotions indeed. And ingeniously, these emotions were coupled with those whereby Rome convinced its people that they needed its protection. Rome could be all things to those citizens who understood the social compact. Genius, was it not? By the way, not all advertising is successful, even with modern market research. Read about some epic fails in the world of international advertising. Definitely not the experience these companies wanted to promote. Take a trek through the ancient history of advertising in our series, How Advertising Helped Rewrite History. Click here to learn more about the Mad Men of the Roman Empire. Anderson, J. (n.d.). Roman architecture in Provence. This entry was posted in Architecture, Art, Blog, Communications, Culture, Public Life and tagged ancient advertising, ancient history, ancient marketing, ancient propsganda, Ancient Rome, ancient symbols, AntiquityNOW, aquila, fasces. Bookmark the permalink.